Moving to the Cloud is not an all-or-nothing proposition. Migrate any Windows or Linux x86 system to Azure using a combination of AKA and Microsoft tools with little to no downtime. AKA can help your organization tap into the performance power of the Cloud with any system—even those that remain on premise. 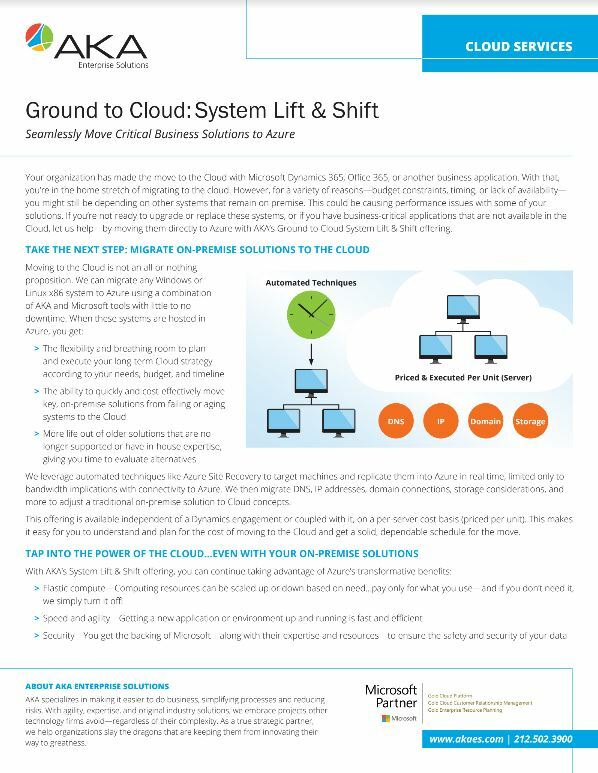 Download the Ground to Cloud Lift & Shift Solution Brief to learn more.